Most long time users of stovetop espresso makers agree that smaller pots are usually better. They are cheaper to buy, built a bit sturdier, and they tend to make better moka – albeit in smaller quantities. A 1-cup moka pot is unquestionably the smallest of them all. 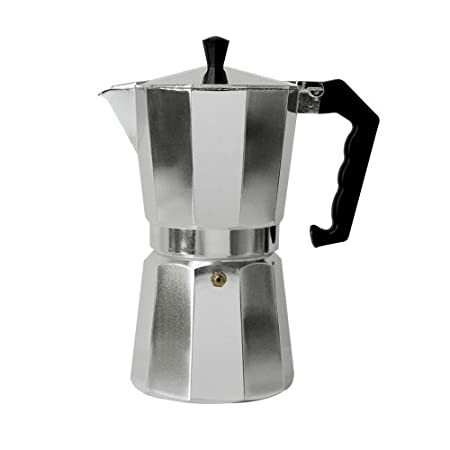 In the Moka pot world one cup generally refers to 1 to 1.5 ounces of coffee. This amount of water heats up very quickly, even on lower temperatures, and can produce a good drink in much less time than alternative brewing methods. In America where double shots are so common a 1-cup moka pot may seem too small but a single shot of espresso can make a fine coffee mug sized Americano for a perfect afternoon pick me up. Note – you can see our featured 2-cup moka pots on this page. 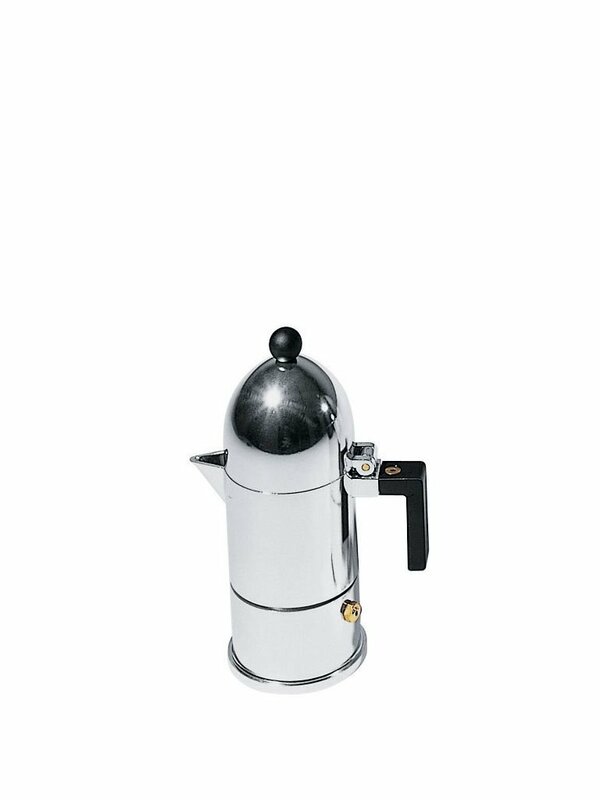 There aren’t nearly as many single cup stovetop espresso makers out there but there are a few to choose from. I’ve listed some of the more popular one’s below for your convenience. Stop by our store for more options or consider jumping up to a still small 2-cup size pot. As I alluded to above a single serving moka pot in my opinion is best for making a quick single serving americano in just a couple minutes. For my morning coffee I like to have a bit more volume but sometimes in the afternoon I like to make a single cup of coffee. I frequently make a pour over cup or a small batch of french press but the 1-cup moka pot is another really good option to have. My drip coffee maker also has a hot water dispenser in it so I can easily whip up a single sevring of moka on the stove while my hot water comes to temperature. Once the moka is ready I add it to my mug and then fill to the top with hot water and it’s an easy Americano -like drink. The moka pot doesn’t really make true espresso but it’s close enough when it’s used in mixed drinks. Another fun way to use a tiny stovetop espresso maker is to make coffee shots for your dinner prep. 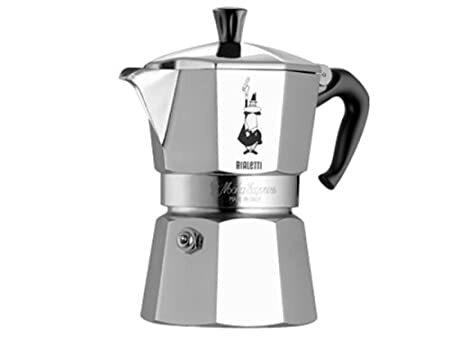 If you are making a stew or a chili or some other kind of a marinade a shot of moka from a pot like this can add a lot of potent flavor to your meal. How Fast Does a 1-Cup Stovetop Espresso Maker Brew Coffee? Curious how fast these little guys are? For starters moka pots can be one of the fastest coffees to brew aside from pump espresso. Here’s a video demonstrating how fast a moka can brew coffee. The 1-cup pot blows the 4-cup pot out of the water in terms of speed. Nothing beats the smell of freshly brewed coffee in the morning. The aroma alone can send you off with good vibes. And finally, the pleasant taste of this bittersweet drink will surely perk up your mood. To achieve this, you need a nice brewer that will create the perfect cup of coffee goodness for you and your family. 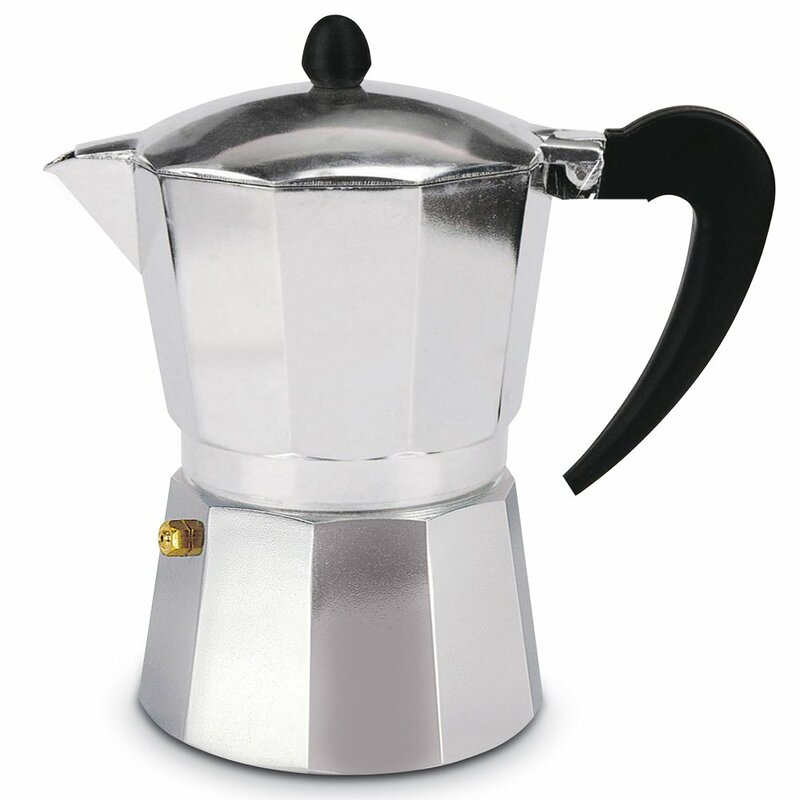 One of the most convenient coffee makers is the stovetop espresso or moka pots. It may look like just another kettle but coffee aficionados love its simple and hassle-free functionality. It is portable. You can bring it to camping and any outdoor activity. You just need a source of heat. 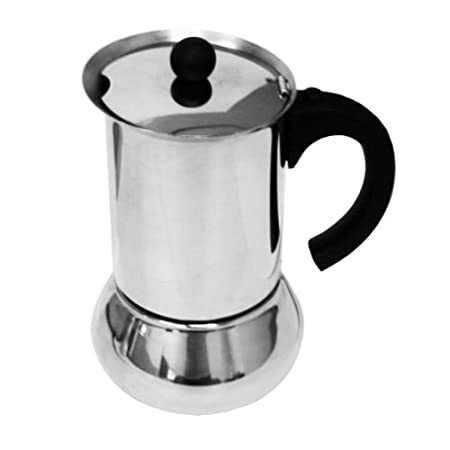 Many coffee lovers prefer the strong flavor created by stovetop espresso makers. No need to buy paper filters, ever! The espresso maker should not only look good but feel and work good, too. Honestly, you will be using it daily and if you are like me, you will be using it twice or thrice a day. It should be easy to maintain, hassle-free cleaning. Dishwasher safe for some. It should ne durable enough to withstand a number of falls. It should make a consistent cup of good tasting coffee. When you buy a Bialetti, you are buying a nicely made Italian brand. As they say, Italians know coffee like the back of their hand. This one-cup maker is like having your personal barista at home. 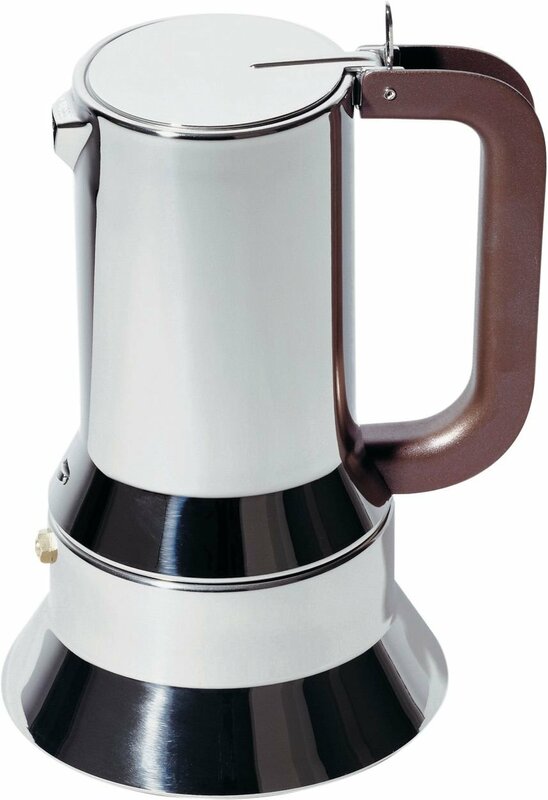 This model and brand is another proud Italain manufacturer of quality espresso maker. The Primula is a good starting point for first time buyers who want to try out a stovetop espresso. This is another entry level moka pot to play around. If you are looking for a spare, this can do the work. Is the stovetop espresso maker for you? Many people love buying in big volumes and large capacity. Talk about wholesale pricing. While it may be practical, coffee lovers know that it’s not always the case. Often, great tasting coffee comes in little packages. Take espresso for instant. It’s coffee perfection in a tiny cup. Single serve convenience. Most of the time, you need just a cup of coffee for yourself and/or your partner. Even if you have kids, they don’t really drink coffee everyday. A small stovetop espresso works best for you and your daily morning routine. You can even bring it to the office and make a fresh cup of coffee anytime. Low maintenance. Stovetop espresso makers are easy to use, manage and keep. Even if most of them are hand wash, it will only take you about 3 minutes to clean everything. Even if you are so busy, there’s no stopping you from getting a good cup of coffee in just 5 minutes. Value for money. Stovetop espresso will never burn your wallet. Even the most expensive one is still within budget. This brewing machine is unpretentious. The design and function is very straightforward. Prices vary depending on the brand and material used. Aluminum body are inexpensive. Stainless steel models have a premium. French press – No heat source required. Just prepare hot water, coarse ground coffee and the French press. You can have brewed coffee in just 4 minutes. Automatic drip machine – You can set the timer and leave the machine to brew on its own. Pour over – Learn the artsy way of using Chemex and Hario. Cold brew – If you are willing to wait, you can enjoy a cold and light tasting coffee after 24 hours.